Listen to the recorded message which will give options to direct you to the correct mobile telephone number based on the service you require. Fire and security solutions to protect people and assets. An international service company specialising in fire and gas detection as well as security solutions. Headquartered in Aberdeen, Scotland, Oteac serves the oil and gas, marine, renewable industries as well as public and private-sector clients. We unite experience and capability to manage the risk presented to life and assets from exposure to fire and gas. Our integrated approach enables us to deliver the complete protection package, providing assurance throughout the entire process. We're with you every step of the way. Oteac’s early detection systems for fire and gas protect life, assets and the environment. 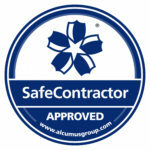 They are proven in over 30 years of front-line application, sustaining a safe workplace for clients around the world. Augmented by our fail-safe fire and deluge systems, they provide the protection you need – and the confidence you want – in your offshore operations. In the event of a fire, it's down to the crew to regain control. Effective fire extinguishing systems and fire-fighting equipment are vital in marine environments. We supply, service and maintain fire detection and extinguishing equipment for every size of vessel. With Lloyd's, ABS and DNV-GL certification, you can be sure your firefighting systems are maintained to the highest standards. A building or site fire can lead to serious consequences - even a small fire can grow in seconds unless quickly suppressed. Fire and security systems are critical to site safety. These systems can help ensure proper evacuation and limit the spread of fire, reducing damage and increasing the safety of personnel. Developing more wind projects than any other country, the UK is a global leader in onshore and offshore wind power. In the event of a transformer fire, the industry and its insurers consider total loss of the platform as well as wind farm production. In this instance, estimated down-time can be between 24 to 30 months. We specialise in fire and gas detection, suppression, firefighting equipment, safety and security systems. Oteac installs and maintains fire alarms, public address system, CCTV and intruder systems for a prominent North East fish market. Recently, our team put finishing touches on the refurbishment of a 4000-litre helideck foam skid. We replaced and refurbished a number of components during this intervention to bring the skid back to its original condition. Our client wanted to extend the life-cycle of their platform's fire and gas system to ensure the system would be fit-for-purpose and reliable for another 20 years. So, our team engineered a fit-for-purpose solution.